I understand these awards are basically the blogging version of a chain letter but I truly appreciate each and every nomination. I’m so lucky to have been given two separate awards. 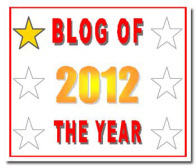 2012 blog of the year by DATINGINVEGAS at http://howtodateinlv.wordpress.com/ I thoroughly enjoy reading her blog and appreciate her giving me such an awesome award. 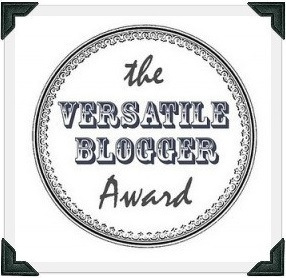 As for The Versatile Blogger award, that was presented to me by Project Southsea blog at http://wp.me/2XYhP and polysyllabic profundities at http://polysyllabicprofundities.com/. Thank you so much for this awesome award. I also recommend reading those blogs. I can’t believe I was nominated for the same award twice in the same day! Honestly, I wish I could link all of the blogs I follow because they’re all wonderful! Definitely check out the ones I’ve listed today, they’re all awesome. 1. As a nearly 28-year-old, I am still very much in love with the Backstreet Boys. I’ve been to at least one concert in each one of their tours. 2. I am extremely obsessed with penguins and plan on getting a tattoo of one soon. 3. I am hoping to begin my masters program for my Masters in Social Work later this year. 7. I absolutely love planning and organizing things! 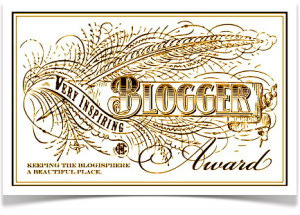 On 2/09/13, I was nominated for the Very Inspiring Blogger Award by the awesome http://bookishguyseeks.wordpress.com/ I am so appreciative of it. He has a pretty incredible blog. I look forward to his posts, you should check it out 🙂 On 2/28/13, I was awarded the Very Inspiring Blogger Award (yes, again…because I’m awesome) by another awesome blogger Definitely check him out because he’s awesome like me! 1. I speak three languages. Portuguese, English, and Spanish. Learned them in that order. My parents are Brasilian which is why I speak Portuguese fluently. 2. I was a Girl Scout from kindergarden to my senior year in high school. I also received the two highest awards available for Girl Scouts: Silver Award and Gold Award. 5. I love netflix. I’m currently watching every episode of the X-Files, I’m currently about half way into season 6. 6. It has taken me way too long to think of random/interesting facts about myself. 7. I absolutely love board games or games in general. Taboo and scrabble are my favorite. Sorry guys, I’m only posting four. I’ll probably add to this later, but it’s 3:15 in the morning. It’s time for me to go to sleep.